Suitable for mirrors, glasses, painted surfaces and plastic. He does not leave marks. Code. : D100. Packaging: 500 ml Bottle with sprayer. There is a superconcentrated replacement for this product. Code. replacement: D100R. Spray on the surface that you want to clean and clean with a dry cloth. Once your cleaner empties, you can re-fill it using the D100R replacement part. 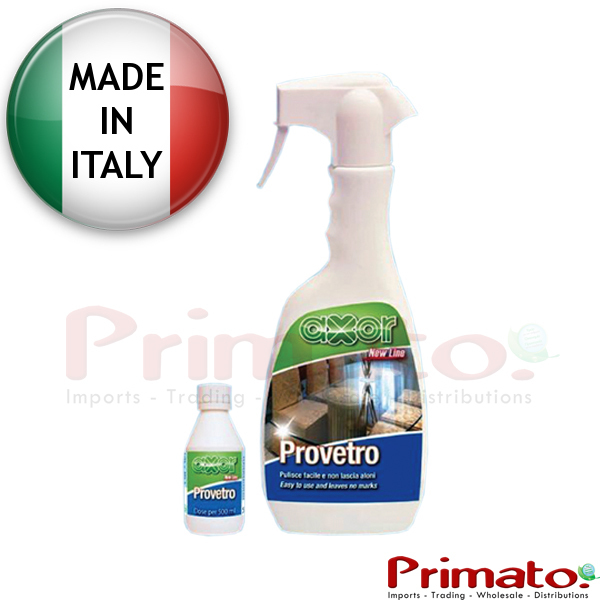 Just drop the replacement bottle into the Provetro bottle, fill with water and mix lightly.